The $1,000 Project by Canna Campbell is a book about achieving financial freedom one step at a time. 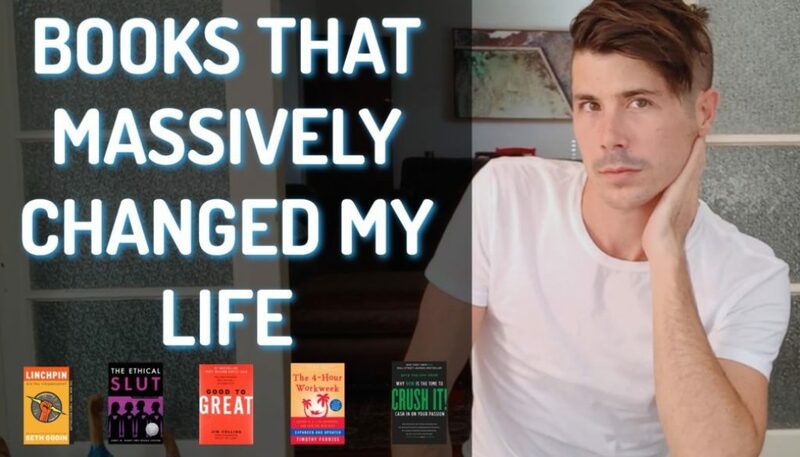 In this book review I talk about the core concepts in the book, what I liked about it and how I’m applying it to my life. Thousand dollar. Hey everyone. 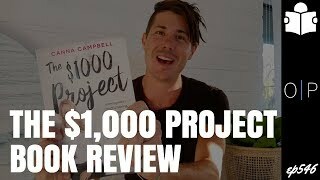 Ryan here from on property and in this episode I want to do a book review of a book that I’ve just read called the thousand dollar project by Canna Campbell. This book is a really good book to help you take significant steps towards your financial freedom, but to do it a little bit at a time. So I just finished reading this will actually I listened to the audio book and so I’m excited to share with you guys what this book is about, what I thought about it, and then you can decide whether or not you want to pick it up for yourself. So I first discovered Canna Campbell through her youtube channel called Sugar Mama. If you haven’t checked it out, go ahead and check that out. She has lots of great tips on personal finance and budgeting and things like that. So I found her through there, discovered that she had written a book, purchase the book it got delivered, not gonna lie. Uh, I got about a quarter of the way through the book, as you guys might know. I’m not a big book reader. I’m a big book listener now, so I love audiobooks, got about a quarter of the way through and then found out the audio book was coming out, so I waited. When the audio book came out, I listened to it and got through it in one day, so I just smashed through it as I was picking the kids up from school and then listen to it at night. So really great book and I love this concept of the thousand dollar project. So the concept is really simple and the concert is saving a thousand dollars at a time and then using that money to put it towards your financial future. And so that can be the way Canada does it, which is invest in shares and get passive income from shares or it could be anything from saving a house deposit to paying off debt to all of these different things. But the core idea of the book, the core idea of the thousand dollar project is to get expansive with your mindset around money. So rather than just doing the day to day, living paycheck to paycheck, the thousand dollar project encourages you to look outside of your job, look outside of your current budget, and look for ways to earn extra money to save towards a thousand dollar project. So what you do is you set up a separate bank account online. So I’m with ing and so basically I set up a separate online savings account and anything that I can do extra, I then put into that savings account. When the savings account reaches the magical number of a thousand dollars. 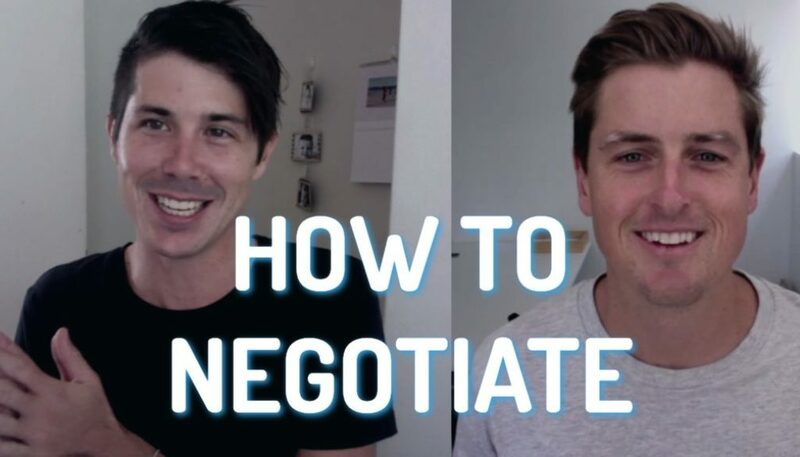 Then you go ahead and you apply that thousand dollars somewhere, as I said, that might be paying off debt and might be towards a deposit or it could be as Canada suggest to invest in shares that deliver you passive income. So that’s the core concept of the thousand dollar project. It’s pretty simple, but just the idea to look outside of your current situation, to look outside of your current job and to look for opportunities of different ways that you can make money. Whether that be through starting a side business, whether it be from selling old things like selling your clothes or selling your old game cube controllers or whatever it may be. There’s different ways to earn extra money to put towards the thousand dollar project. 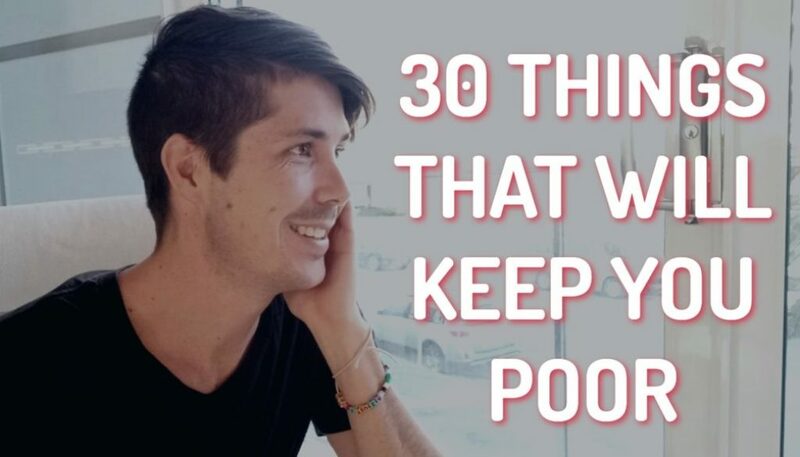 She also talks about ways to save money. So let’s say you’re going to go out for dinner with a friend. You’re going to get entrees, mains, some wines, things like that. You expect to be out of pocket $50, but your friend goes ahead and shout you for that dinner where you were expecting to pay $50. So in that instance you would take that $50, put it in your thousand dollar project savings account, and then you would be $50 closer to that thousand dollar project. So whole bunch of different ways. She gives a whole bunch of ideas of how to make extra money or save extra money or get money towards the thousand dollar project. So for those of you out there who are struggling to think about how can I make money outside of my job, how can I make money outside of my current income? This book has some good ideas in there. Now I am an online business owner. I run multiple different businesses. So bunch of those ideas weren’t really applicable personally to me in my life because if I’m going to try and make extra money I’ll do it through my business. But for a lot of you guys out there, I think this is going to be really helpful. She also goes in, there is a section where she talks about investing in shares and how to invest in shares. Now I have not invested in shares currently. I just haven’t done it yet. I don’t know why. I guess I’m not really passionate about it. Don’t really care about shares and so haven’t done it. But she lays out a really simple strategy for investing in shares and how to do that and what types of funds to invest in and things like that. So if you are interested in starting a share portfolio, you can do that a thousand dollars at a time, which is really cool. 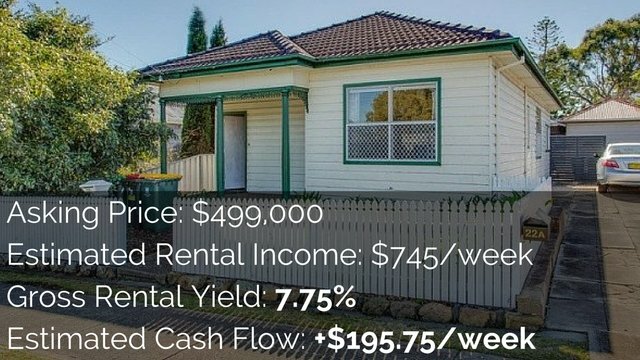 A property you might need to save 50, $60,000 to invest shares. You could start just $1,000 at a time and so she lays out exactly how to do that. So if that’s what I was gonna do, if that’s where I wanted to invest, then I would definitely read through that chapter again, work out exactly how she recommends to do it and I would go ahead and do it. So if you’re interested in shares, that could be a really cool avenue for you as well. She also has sections on goal setting and how she thinks about goal setting, which could be useful to you guys out there as well as how she thinks about money and manifesting or creating money in your life. She sees money as a form of energy and talks about how to acquire more money and how to acquire more energy in your life. So if that’s up your alley, then this could be good as well. So the thing that I love most about this book, the core concept that I think is amazing and the reason that I think you should buy this book is the concept of being expansive in your life and looking for extra ways to make money. So rather than just focusing on the box of your life, so the income that you made, the budget that you have had to spend less and save more within your budget. The biggest thing about this book, the thing that I absolutely loved was that instead of just focusing on that box, that is your life, that is your income, your expenses. Get outside of that box and look for ways to make extra money. Look for ways to manifest money in your life and to save that money towards the thousand dollar project. 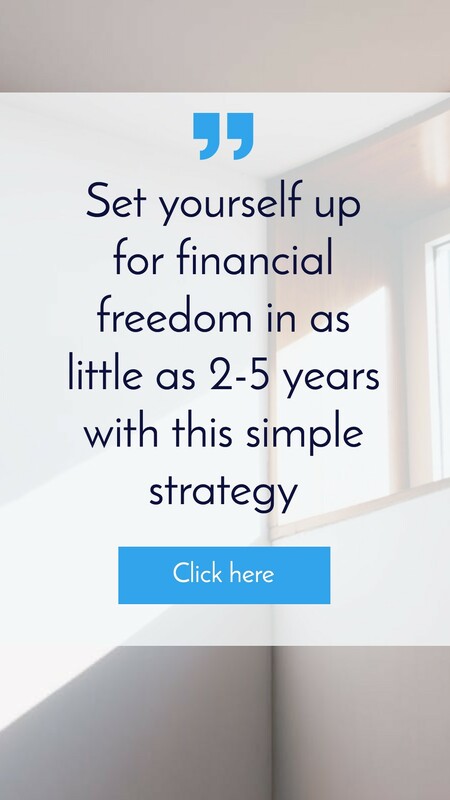 So don’t just make extra money and let it go and your lifestyle, make extra money, put it towards the thousand dollar project, and then invest that money for your financial freedom. I also love the concept of doing it a little bit at a time, so you can do that a thousand dollars at a time. You could do that $100 at a time, $200 at a time. If a thousand is too small for you, you could do it five or $10,000 at a time. So this could easily be called $100 project or the $10 project or the $10,000 project. But yeah, so those two concepts, the concept of looking outside of your current box of a life and being expansive and creating money, extra money in your life, in extra income to put towards your financial freedom. I love that concept. And also the idea of doing it one step at a time just makes it really achievable. So for me in my life, how am I applying the thousand dollar projects? Well, it’s a little bit more difficult for me. So I bet a lot of you out there, you have a job living paycheck to paycheck. For me, I run my own business and I’m kind of financially free through my business. And so the idea of being expansive and creating more money in your life I’m already doing and I’m mainly doing it through businesses and so for me, a lot of the work that I do to create extra money in my life is through the business but also has a longer payoff period so I might do work today that won’t pay off for six or 12 months or even up to three years time. So it’s hard to track exactly what I do to the extra money that comes in to them, put it aside for the thousand dollar project. So what I do instead is that I pay myself first. So I set aside a certain amount of money each week that I invest as well as I try and pay down my debt as well. So that’s kind of what I’m focusing on. The way that I’m using the thousand dollar project is really when she talks about how when you’re expecting to have an expense in your life and that expense doesn’t happen, then that extra money you put towards the thousand dollar project. So if I go out with friends, I expect it to cost a certain amount and then shout me, well then I didn’t have to pay that money so that’ll go towards the thousand dollar project or if I go to the shops and I’m going to buy something, I know how much it’s gonna cost and it ends up being on special and so I save $5 here, $10 there. Then that money goes into the thousand dollar projects. So that’s kind of how I’m doing it. I’m like pretending that I’m spending the money and putting it in the thousand dollar project, I haven’t yet reached my first thousand dollars. So maybe when I do reach that first thousand dollars we can go ahead and invest in some shares or something like that. Could be fun. Right? I have never invested in shares. So. Alright, let’s do it. And making the call. Now as unrecorded this episode, when I reached my first thousand dollars for the thousand dollar projects, we’re going to go ahead and we’re going to set up a share account and we’re going to invest in some shares the way that cannot talks about it in her book. So we will revisit this book in the future when I reached that amount and you guys can keep me accountable to that. So yeah. Overall, I really liked this book. I liked the concept of it. Really the core concept is what you want to take out of it. So if you want to check out this book, go to On-property Dotcom data you forward slash project, and that will redirect you to booktopia where you can go ahead and purchase that book. That’s an affiliate link. So you go through that. I do make a little commission from it. Not a lot of money. It doesn’t cost you any extra, but it does help support the channel. So again, that’s on property.com, forward slash project. And if you want to get the audio book instead through audible, I am an audio book lover. Go to on-property dot com dot a u forward slash project audio and that will redirect you to the audio book. We can get it through audible. You can start with a free 30 day trial so you can technically get the book for free. If you cancel within 30 days, they won’t charge you so you could get the audio book for free using that link as well. So that’s on property.com. Forward Slash project audio if you want to get it on audio book. Yeah, that’s it from me today. What did you think about this book review? Should I do more book reviews on some of the stuff that I read because I do read a lot of books and I’ve got a bunch of great recommendations. If you guys are interested in it, you can go ahead and check out the show notes of today’s episode at On-property Dot Com dot a u four dash 5:46. So in those show notes, I’ll link up to the books. I’ll link up to the audio book. I’ll also link up to Canada Campbell’s youtube channel so you can check out her youtube channel and subscribe to it over there as well. Thanks so much for watching today, guys. I hope you enjoy this episode. Don’t forget to subscribe to the channel as we’ve got new episodes coming out every single week, day and the episode tomorrow is awesome. I absolutely loved that episode. 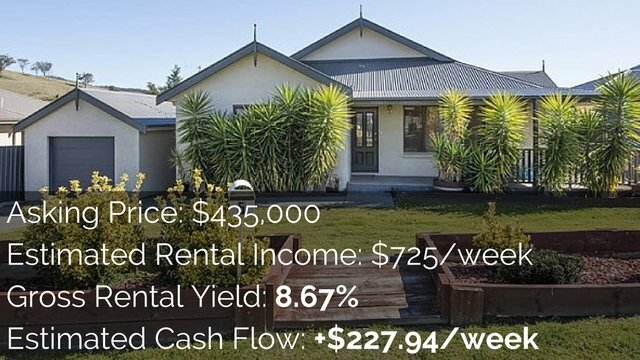 Tomorrow I’m talking with Simon Everingham about how we are looking at investing in property. So that’s a really exciting one. So check that out and until next time, stay positive.